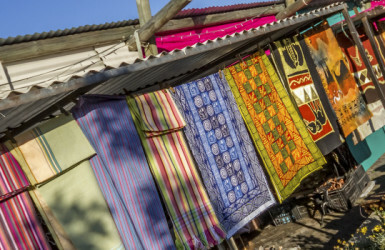 Having previously hosted the event in April 2017, the change was made to align with the school holidays, with large numbers of families making their way down to Plettenberg Bay. The locals and holiday goers will be in for a treat as the golfing action will be open to all spectators for free, allowing nostalgic golfing fans and aspirational youngsters the chance to witness some first class golf at close quarters. Set to be held at the gorgeous Plettenberg Bay Country Club, that is situated on a private nature reserve, a field of 60 senior professional golfers will be led by defending champion Mark McNulty who recorded a wire to wire victory in 2017. This may be a last chance for many golfers hoping to win the event, as the likes of Ernie Els and Retief Goosen turn 50 in 2019, and if they participate, will surely be favourites for the coming years. On aiming to defend his title in 2018, Mark McNulty said, “At last year’s SA Senior Open, I was blessed with having all aspects of my game working extremely well. Winning the event was a thrill and I look forward to returning to Plettenberg Bay CC to defend my title. It will be great to see some old friends and meet some of our newer pros on tour. The newly branded Sunshine Senior Tour, has resulted between a partnership with the SA Senior Tour and the Sunshine Tour, under a license agreement for professional members aged 50 and older in South Africa. The tour structure aims to provide a competitive tournament schedule to accommodate the membership and grow senior professional golf in SA. In 2017, a partnership was formed with the Endangered Wildlife Trust in which a percentage of the total prize fund is donated to support a specific endangered animal in the region a tournament is held. This will continue and the Humpback Dolphin will again be the deserving recipient. Follow your own path in Plettenberg Bay and escape to the simplicity of nature to experience a side of Plettenberg Bay you may have never seen before. 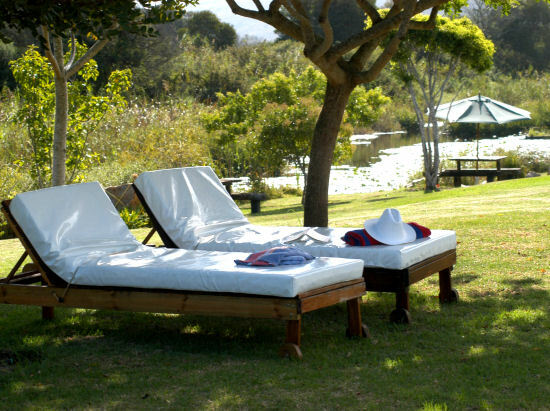 The Plettenberg Bay Accommodation Association is a voluntary association of members, which corresponds with the National Accommodation Association of South Africa with particular reference to its aims and objectives. 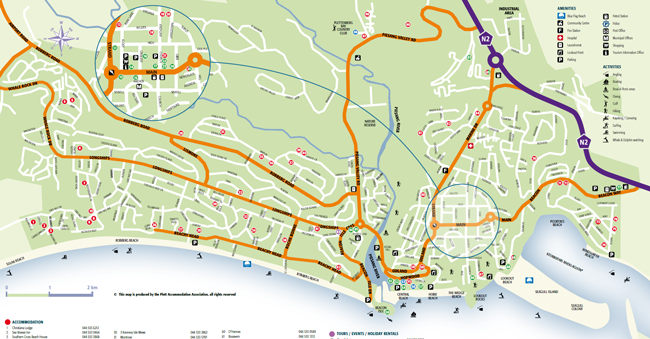 It represents its members to enhance and promote the travel and tourism industry of Plett. Plett is Perfect for you! Plettenberg Bay is the ideal destination for young and old, families and couples, and the hardest tourists of all to please – teenagers. Visitors return to Plett time again to unwind, or to live it up. It is the perfect, all-year round destination with amazing summers to moderate winters. Sunshine can be found in abundance in this natural treasure. The scenery is perhaps the greatest highlight of all, and the sweeping vistas of pristine lagoons and beaches can’t easily be beaten anywhere else along the Garden Route. 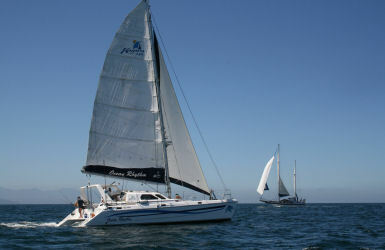 Besides these world class surroundings, Plett offers a startling – and surprising – array of activities and accommodation. In order to get through it all – swimming with seals, whale safaris, wine routes, big five game viewing, elephant rides, birding, hiking, paddling the river – a minimum stay of five nights is recommended. 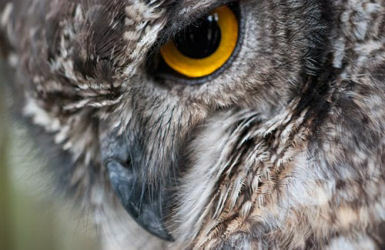 Accommodation in Plett, and in its forested fringes, is superlative – from the Five Star hotels, boutique guest houses, bed & breakfasts and self-catering lodges to historic game lodges as well as back-packers for the more frugal traveler. Robberg Nature Reserve and the surrounding ocean, along with the Keurbooms lagoon present the visitor with a feast of fun ensconced in gorgeous natural surroundings. 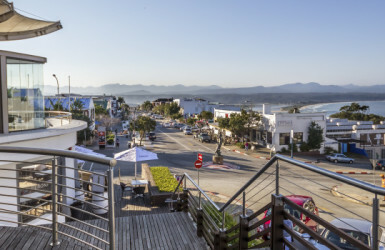 Looking closer, Plett is like a small piece of the Cape Peninsula cut away and secreted along a discrete piece of beautiful coastline. 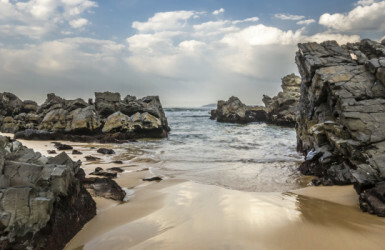 One clue as to Plett’s abundance is in the different area classifications; on either side of Plett are places with names like ‘Wilderness’, ‘Nature’s Valley’, Storm’s River’ and ‘Tsitsikamma’ (place of abundant sparkling water). It doesn’t take a genius to work out that something…well, something magical is going on here. In the air, in the water, and in the rocks. During the mild climate from May to September, the ‘Secret Season’, all these treasures are available to those travellers lucky enough to have it all to themselves. Plett, it really is a wonderful feeling to come here to relax and rejuvenate. Plettenberg Bay was listed as one of the top Ten snorkelling spots to visit along South Africa’s coastline. Click here to read more. Keurboomstrand has been listed as one of the best winter sun destinations for 2018 by The Guardian – Click here to read more. 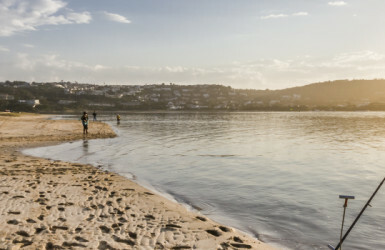 Plett makes the Nat Geo Cool List – Click here to read more. Plettenberg Bay has received Blue Flag status for six beaches during the 2017/18 season. Click here to read more. Plettenberg Bay Establishments win at the 2017 Lilizela Awards – Click here to read more. Plettenberg Bay has been nominated for the 7th year running as Africa’s Top Beach Destination in the 2016 World Travel Awards. Click here to read more. Plettenberg Bay has made it onto the Daily Telegraph’s “Top 25 reasons to visit South Africa” list. 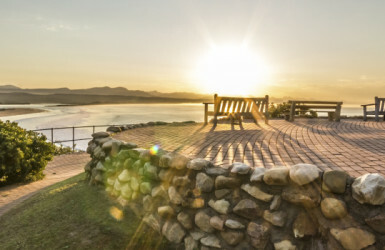 In at number 16 in a list of 25, the UK newspaper declared that “some of the best are found in Plettenberg Bay, in the Western Cape, along the popular Garden Route.” Click here to read more. 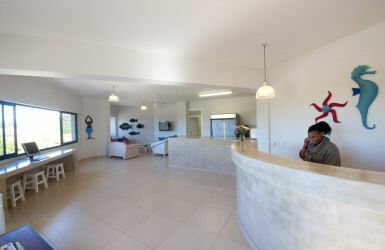 To see TripAdvisor traveler reviews and opinions of Plettenberg Bay by clicking here.